Tell me that and we’ll go. Right now. Save ourselves and leave this place to burn. Tell me that’s how you want your story to go and we’ll write it straight across the sand. Rebel of the Sands is the first novel in a YA/fantasy trilogy about Amani, who lives in the unforgiving, dead-end town of Dustwalk. She meets a mysterious stranger, and together, they leave Dustwalk to escape and to find something better. With Amani’s extremely accurate shooting skills and the stranger’s mysterious past, this book is like the YA, dystopian version of Aladdin. Amani is a great main character, and she provides a breath of fresh air within this genre. Rebel of the Sands is set in the desert, with harsh heat and windy days and dry, long summers. Amani’s parents are both dead and her distant relatives are planning on marrying her off. 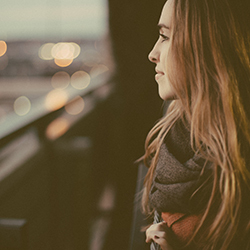 She is desperate, impulsive, ruthless, and at times, naïve. But she’s a fantastic YA lead character because she takes control of the scene and she has backbone. Rebel of the Sands is set in the desert plains of some strange world, and it’s fantastic. The reader can really feel the dry, desolate desert through Alwyn’s descriptive prose, and the character interactions are believable and realistic and they intrigue the reader and make them want to finish the book and pick up the next in the series. Amani is witty and brave, but also young and impulsive, which is appropriate for her age and for what she’s going through in the book. She’s travelling to a distant city to find her Aunt, but she’s now caught up in the rebellion. There is a new Prince who is building an army to forge ‘A New Desert’ and soon, Amani becomes engulfed in this war and thrust into battles and fights with both soldiers and supernatural beings. She is forced to work together with her new allies but also trust her instincts. 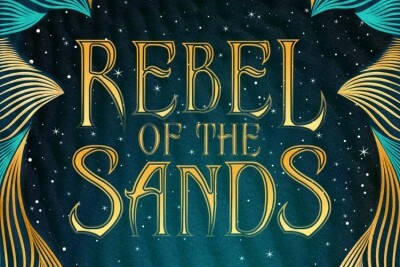 Rebel of the Sands is paced well, but perhaps could move a little faster. It does a wonderful job of setting up the sequel, which I imagine will be more imbedded in how the rebellion is going to work to overthrow the current government. I imagine Amani’s enemies from when she lived in Dustwalk will also re-appear in the next novel. I look forward to reading the sequel when it comes out! Hopefully the cover for the sequel is just as stunning as the Rebel of the Sands cover.